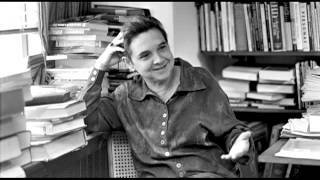 Adrienne Rich (b. 1929). Born to a middle-class family, Rich was educated by her parents until she entered public school in the fourth grade. She graduated Phi Beta Kappa from Radcliffe College in 1951, the same year her first book of poems, A Change of World, appeared. That volume, chosen by W. H. Auden for the Yale Series of Younger Poets Award, and her next, The Diamond Cutters and Other Poems (1955), earned her a reputation as an elegant, controlled stylist. In the 1960s, however, Rich began a dramatic shift away from her earlier mode as she took up political and feminist themes and stylistic experimentation in such works as Snapshots of a Daughter-in-Law (1963), The Necessities of Life (1966), Leaflets (1969), and The Will to Change (1 Adrienne Rich (b. 1929). Born to a middle-class family, Rich was educated by her parents until she entered public school in the fourth grade. She graduated Phi Beta Kappa from Radcliffe College in 1951, the same year her first book of poems, A Change of World, appeared. That volume, chosen by W. H. Auden for the Yale Series of Younger Poets Award, and her next, The Diamond Cutters and Other Poems (1955), earned her a reputation as an elegant, controlled stylist. “Responsibility to yourself means refusing to let others do your thinking, talking, and naming for you...it means that you do not treat your body as a commodity with which to purchase superficial intimacy or economic security; for our bodies to be treated as objects, our minds are in mortal danger. It means insisting that those to whom you give your friendship and love are able to respect your mind. It means being able to say, with Charlotte Bronte's Jane Eyre: "I have an inward treasure born with me, which can keep me alive if all the extraneous delights should be withheld or offered only at a price I cannot afford to give.